Join in the fun at these awesome spots in Manistee County that offer brew and spirits. In addition, several of these locations are also restaurants. Make sure to check out the accompanying Brew & Spirits map on page 34 to set your route. Bluefish Kitchen+Bar:(312 River St. | Manistee) – This Downtown eatery offers new American dining in a relaxed lakeshore atmosphere. Featuring an extensive wine list, craft beer and artisan cocktails, hand-cut steaks, farm-to-table and artisan fare, and a large selection of Great Lakes fish artfully prepared by our team of chefs. The Bluefish is here to exceed your expectations whether you are looking to relax on our deck and watch the boats go by, or treat yourself to an elegant fine-dining experience. The Fillmore:(318 River St. | Manistee) – Located in the same block as Bluefish, the Fillmore is one of Manistee’s newest craft beer, coffee and dining establishments. Featuring Michigan Beers in a constant rotation, you are sure to pick up on the taste of Michigan while enjoying some fresh food from their unique menu. TJs Pub:(399 River St. | Manistee) – Nestled in the Garden Level of the TJ Ramsdell Building, this Manistee landmark is home to a massive Michigan Craft Beer selection and excellent dining establishment. With many craft beer selections rotating seasonally, the occasional tap takeover, and various flight boards ready to quench your thirst, this is an ideal spot to enjoy a local craft beer any day of the year. 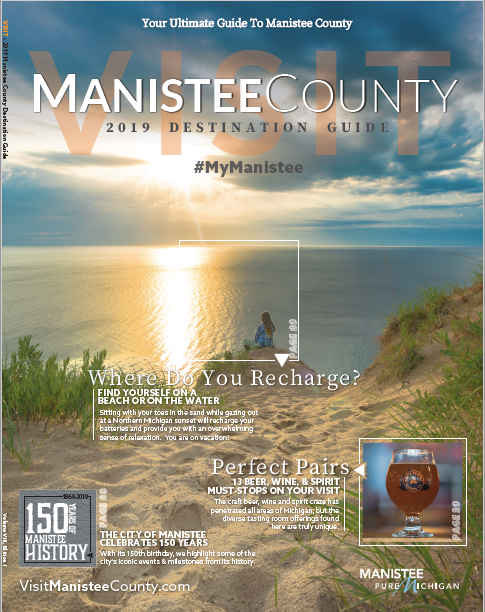 Manistee Beverage Company:(401 River St.| Manistee) – Manistee’s liquor, fine wine, and craft beer store! On the corner of River and Maple, across from TJ’s. Douglas Valley Downtown Tasting Room: (431 River St.) features comfortable spaces for gathering and tasting fine local wines and ciders with friends and family. The tasting room also features a great selection of Michigan Made artisan products for puchase. This is a perfect souvenir opportunity to show your love for Michigan wines. 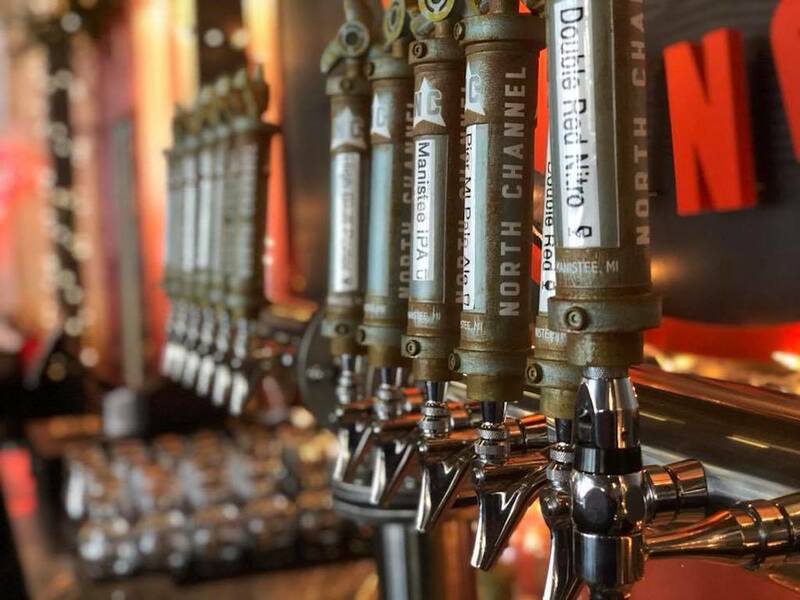 North Channel Brewing Co.: (86 Washington Street) – Located in Downtown Manistee with 12 rotating taps of beers brewed in-house as well as craft hard ciders, wine, and cocktails. The food menu is Texas inspired BBQ and southern specialties, and also features tacos, burgers, macaroni and cheeses, salads, and other unique offerings. Douglas Valley Winery:(5375 Douglas Valley Dr. | Manistee) Douglas Valley transforms a 640-acre historic fruit farm into a vast, sustainable vineyard community rooted in new ruralism. At the heart of Douglas Valley is a winery surrounded by rolling hills of orchards, vineyards and Lake Michigan views. Explore the tastes of 15+ wines and hard ciders. Also explore the grounds, featuring historic structures, Live Music on Sundays (summer) and harvest activities during the fall. Blue Slipper Tavern:(8058 First St. | Onekama) The Blue SlipperTavern offers craft beer, wine, cider and mead along with a full bar. Appetizers and light meals are complimented with daily food trucks. Stormcloud Brewing Co.:(303 Main St. | Frankfort) Stormcloud is a Northern Michigan Favorite in the heart of Downtown Frankfort. This year-round brewery and dining location is easily one of the “hot spots” in Frankfort during any season. With outdoor seating, live music events, awesome food, and of course the brews and spirits, this is a must-try for anyone who enjoys awesome craft beer. St. Ambrose Cellars:(841 S. Pioneer Rd. | Beulah) Producing locally made Wines, Meads and Beers. Stop by 7 days a week for a free taste of our award-winning Mead and Wine, and also enjoy our friendly atmosphere. 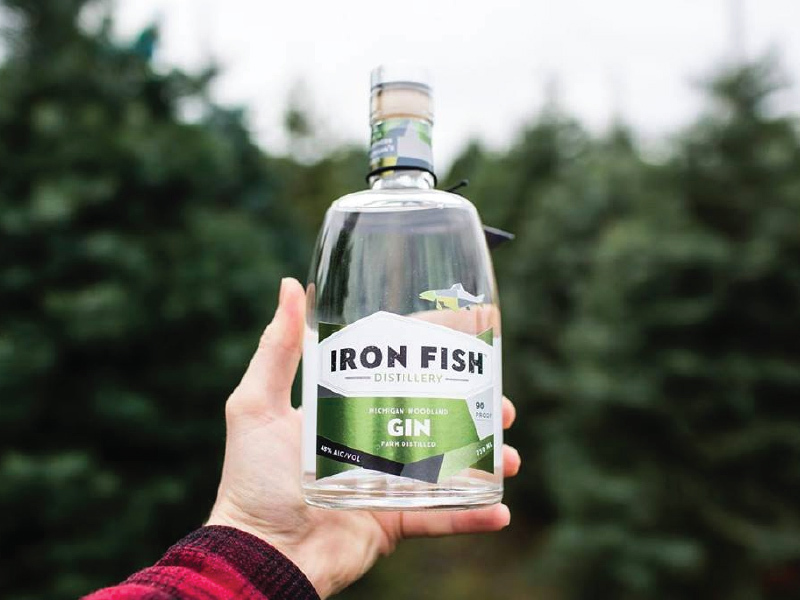 Iron Fish Distillery:(14234 Dzuibanek Rd. | Thompsonville) A field-to-glass craft distillery, producing premium quality, small batch spirits from grains farmed on our own fields. Enjoy a tour of our property, spirit or fresh ingredient craft cocktail in the bar or patio. Also enjoy our local and light fare along with limited release spirits. Children welcome and we are open year around. Northern Natural Cider:(7220 Chief Rd. 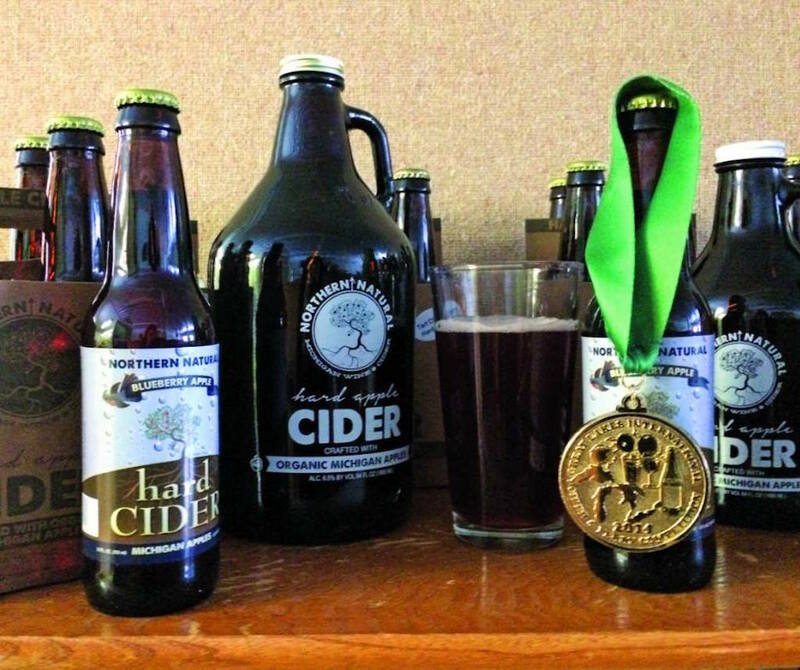 | Kaleva) Northern Natural’s tasting room offers several premium hard ciders made from several varieties of Manistee & Leelanau County certified organic heirloom apples that provide clean, crisp, apple flavors with a dash of sweet. Tasting or by the glass, bottles, & growlers. We also offer a nice selection of our award-winning wines. Try one, or try them all, pick any of our area brew, wine or spirits establishments and enjoy the tastes of locally brewed and crafted libations. Be sure to drink responsibly.